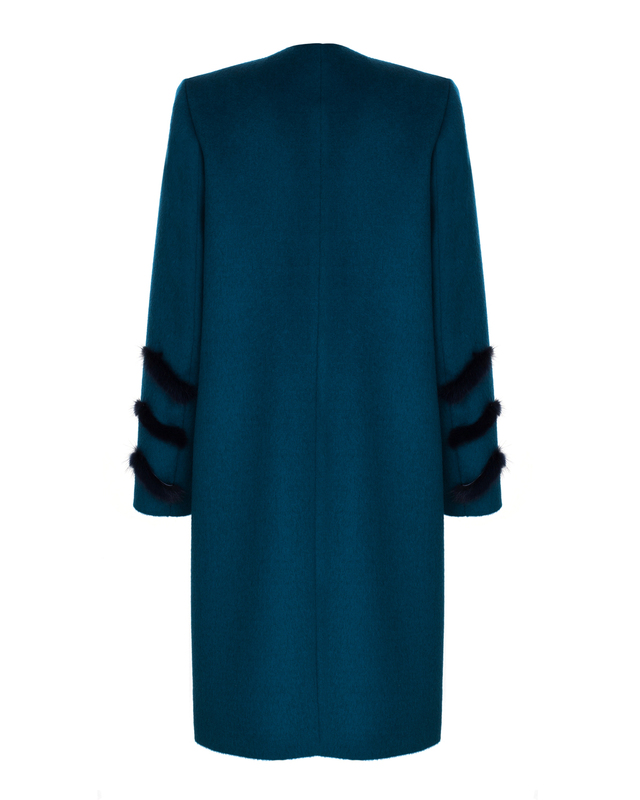 This long single-breasted coat hits above the knee and fits close to the body. 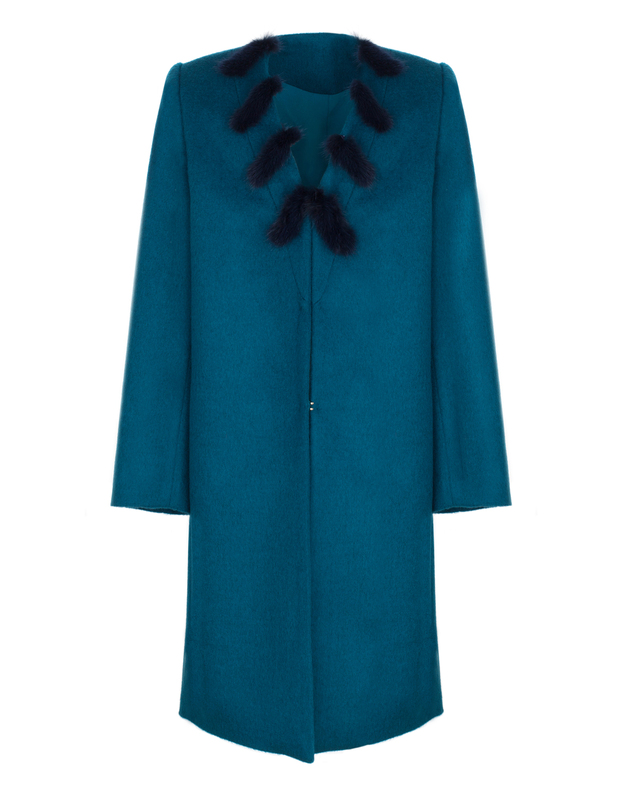 The lapel collar is embellished with contrasting fur embroidery. Perfect to wear during the winter season and create a mother and daughter matched look.